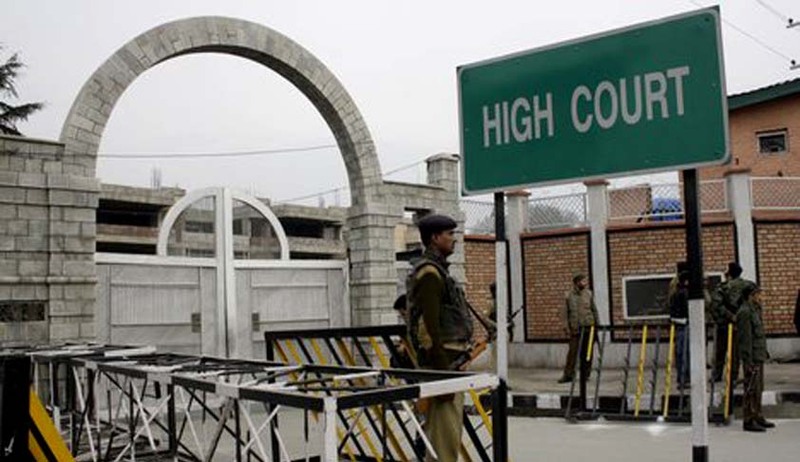 A Division Bench of Jammu and Kashmir High Court has reportedly stayed an earlier order of a Single Judge which had mandated that all Government buildings and cars in Jammu and Kashmir use the state flag. The bench, comprising Justice Bansilal Bhat and Justice Tashi Rabstan, called the record of the Writ Petition which had been filed before the High Court’s single bench and issued a notice returnable within four weeks to both the Chief Secretary and the petitioner. The Court was hearing a petition filed by retired Inspector General of Police and BJP’s national secretary Mr. Farooq Khan, who had challenged the order dated December 26, contending that the national flag is supreme and cannot be held at par with the state flag. The order in question had been passed by Justice Hasnain Masoodi, on a petition filed by Mr. Abdul Qasoom Khan. The State Government’s circular dated March 12 last year, had directed constitutional authorities to hoist the state flag along with the national flag. However, this had been withdrawn, saying, “The mandate and duty is clear according to Section 144 of the state constitution and all concerned need not be reminded of their duty.” The Single Bench order had restored this circular. The order had emphasized on the fact that Jammu and Kashmir is the only State which has its own flag adopted by its Constituent Assembly, and provided in its Constitution. “The State Flag is one of the attributes of constitutional autonomy or limited or residual sovereignty—by whatever name we call it, enjoyed by the State,” it had observed. It had then observed that it is mandatory on every citizen as well as on every constitutional authority to maintain the sanctity of, and respect, the state flag in terms of the constitutional provisions and the Jammu and Kashmir Prevention of Insult to State Honors Act, 1979. Non-hoisting of the flag by Constitutional Authorities, it said, would amount to an insult to the flag, since the state flag owns a stated position under Section 144 of the State Constitution. “The issues which were put before the Single Judge are basically political issues which are to be determined by the State Legislature and not by the Courts. It is an admitted position of law that the courts cannot exercise the powers which are to be exercised by the Legislature and as such the judgment impugned is clearly passed an exercise of powers not vested with the Single Judge under the Constitution of India as well as Constitution of Jammu and Kashmir,” the petition adds. It further avers that the Circular No. 13-GAD of 2015 dated 12.03.2015 did not have the statutory flavor and hence, cannot be enforced in absence of a positive mandate contained in Section 144 of the Constitution of Jammu and Kashmir, which merely describes the dimensions of the State Flag. As quoted by GreaterKashmir, the petition contends that the December 26 order does not take note of Article 1 of the Constitution of India which is fully applicable to Jammu and Kashmir undisputedly under Article 370 as well which declares the State to be integral part of the country and the State of the Union. It states that the observations of the Court were against “national integration”. Jammu and Kashmir’s flag consists of a deep red field, representing labour, charged with a plough to represent agriculture. It also has three white stripes on the hoist side representing the three geographic regions of the State: Jammu, the Kashmir Valley and Ladakh region. It was made the official flag of the State on June 7, 1952 through a resolution passed by the Constituent Assembly of Jammu and Kashmir.